Mark and John Jefferies owners of Lt Gransden Aerodrome, EGMJ N52’10 W000’09 radio a/g 130.85, please note the runway 28/10 is 810 meters TORA with LADA shorter due to a hedge at 28 threshold. Actual WX conditions real time from Gransden lodge gliding site 1.5 nm north east..
Overseas visiting Pilot Procedures- You must file a GAR 24 hrs prior to arrival. A landing fee is charged, currently £10. Payment in the club room “tea bar and cakes fund” and complete the flight records book. The district council come and inspect this to ascertain if we have gone above our limit in takeoffs permitted. Read and understand the Standard Operating Procedure and Map before setting off on your journey to Lt Gransden. 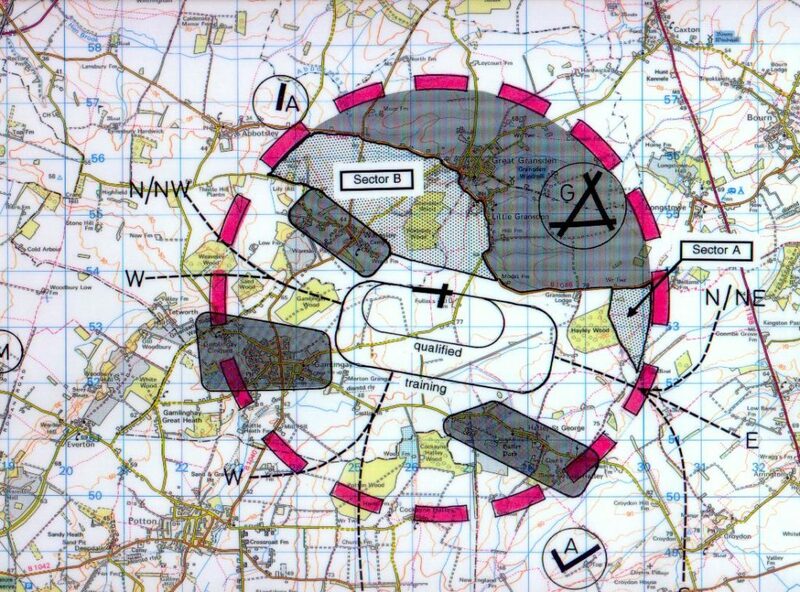 Familiarise yourself with the local no fly zones and avoid them, they are published for good reason. Cables and noise. Enter the local area if possible at a height in excess of 2500 feet. If you can not easily identify the airfield, do not descend below 2500 feet until you have done so. Join on long finals for each runway if possible with a glide approach and prop not supersonic!. If you have to fly a go-around, either turn immediately to rejoin downwind (28 left, 10 right) or climb straight head for 3 miles.